Following Our Educated Nonsense Perfectly! Friends, I’m listening to “Integro / Grandeur” by the Fekete-Kovács Quintet with the Pannon Philharmonic Orchestra and it’s blowing my mind! Full on expansive beauty and brilliant writing! More on this later a few paragraphs down. We had a fun concert on Sunday at Liberty Hall and the best part was getting to meet and hear vocalist Jeffery Smith. Wow, this cat can sing! He has a beautiful sound and just transforms as he sings. I hope to hear him again soon. 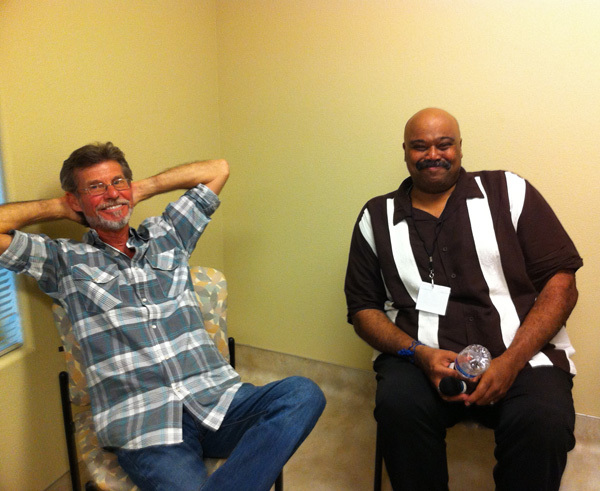 In the green room at Liberty Hall with Gunnar on the left and Jeffery Smith on the right. Last night at the Calypso was a mini rager! We had a great turnout and the audience was following our educated nonsense perfectly. Just how we like it! My friend Jim Merod brought trumpeter Kornel Fekete-Kovacs by and for the 2nd set he sat in with us. What a player! All of it’s there, incredible technique with fluid ideas and this was a cool preview of how our night at Dizzy’s tomorrow night might go. Kornel is from Hungary and one of his main angles is his composing. 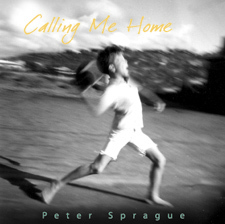 I’m listening to a recording he made with his band along with a great symphony orchestra. It’s an amazing work and the playing is brilliant! I hope you can hear it. Tomorrow night it’ll be Kornel, Bob Magnusson, Duncan and myself stirring it up at Dizzy’s. Hope to see you there! The view from Stef's table at the Calypso. Thursday night I’m playing solo at the Roxy. Love that place! Also Thursday, my long time co-conspirator in jazz, Kevyn Lettau, is having a CD release concert at Anthology in Little Italy. She’s got Russell Ferrante, Mike Miller and some other LA hard hitters in the band and it’ll be an incredible night of music. Check here for the deets. On Friday night we’re heading up to Soka University to be part of the Inaugural Blueport International Jazz Festival. They have a new incredible music center where the festival will be held. They have a great lineup of acts playing over 3 days and I’ll be playing with the Geoffrey Keezer / Peter Sprague Group. We’ve recorded our Mill Creek Road CD and this will be our musical direction with maestro Keezer tearing it up. I’m also thrilled to get to hear Trio de Paz at the festival. This group features guitarists Romero Lumbambo. 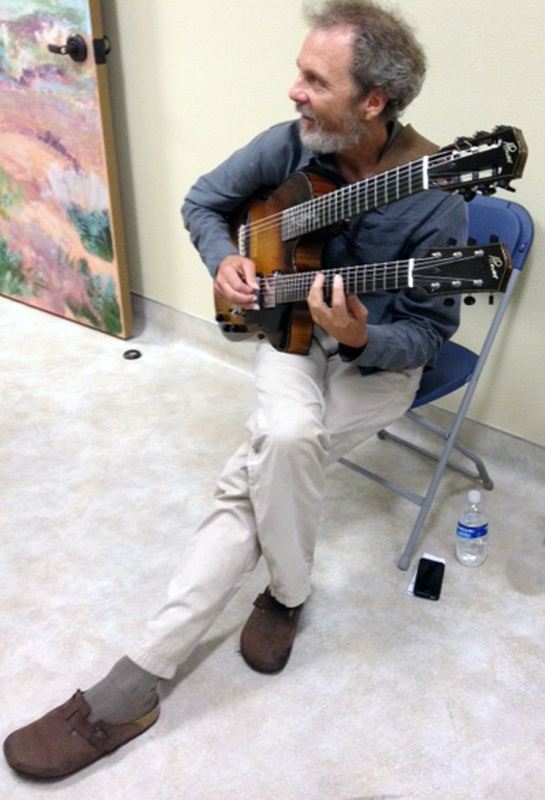 He’s one of my favorites and he’s also the guitarist that regularly performs with Dianne Reeves. It’s when he can’t make the gig that I get to do it. I'm heading to Japan in a few weeks with Dianne and thanks to Romero for not being able to make this tour. Hah! 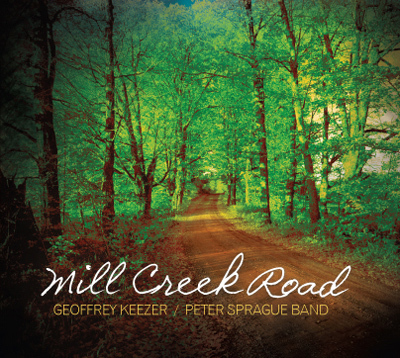 Mill Creek Road, one of my favorite recordings that we've done. 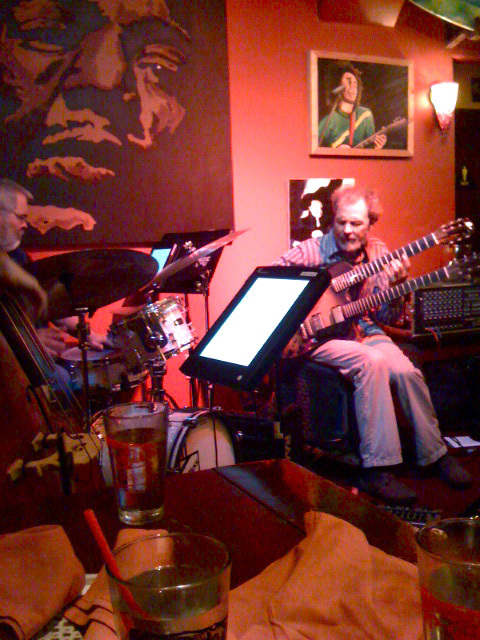 Saturday November 5, 2011 Just JAZZ! Gunnar Biggs  bass 6:30 PM Beth is an amazing flutist and she has the SOUND! We're playing all of my music with a stellar group. Concert setting = magic! Kevyn Lettau  vocals and percussion 12 PM If you're around we're playing a free concert at CSUSM. Nina Francis  vocals 8:30 PM Nina is a great young vocalist and she's studying music at USC. Can't wait!